Buyers in the market for a used fire truck tank should learn what to look for. Osco Tank and Trucks Sales has come up with a list to help out buyers. After reading these tips, you can feel more confident in what to look for. The very first thing buyers should look for in a used fire truck tank is good materials. Stainless steel, mild steel, and aluminum are all great options. These materials will keep your truck looking nice, give you ease of use, and make it easy to clean. Additionally, these materials are strong and will hold up over time to the demands of a fire truck tank. Stay away from trucks which do not offer you quality materials. Trucks without quality materials will cost you more, in the long run, to replace and refurbish. Osco Tank & Truck Sales only uses stainless steel, mild steel, or Poly tanks on our used fire truck tanks. We use stainless steel or aluminum on every other part of the truck. The chassis and frame are arguably the most important part of the truck. If the body or engine components don’t fit right, welding errors or tie bar issues are present, or if it’s just not the right fit for what you’re looking for, it can be a major pain and cost you a lot of money to fix. At Osco, our skilled workers have a variety of chassis they can use for used fire truck tanks. Our experts determine what to use based on what you are looking for, how you will be using the fire truck tank and your budget. Osco has everything from Mack to Peterbilt to a custom chassis. Every Osco certified chassis (and truck) will receive new paint on the cab and chassis, new tires, new brakes, new powertrain fluids and filters, new bumper, 120 point inspection, road testing, and DOT inspection at an independent truck service center. If you want the best and safest products, choose Osco. At Osco, we know how frustrating it is to not be listened to or feel like your ideas are unimportant. We recognize that and ensure that our customers get exactly what they want. It is your truck and you are the one using it. 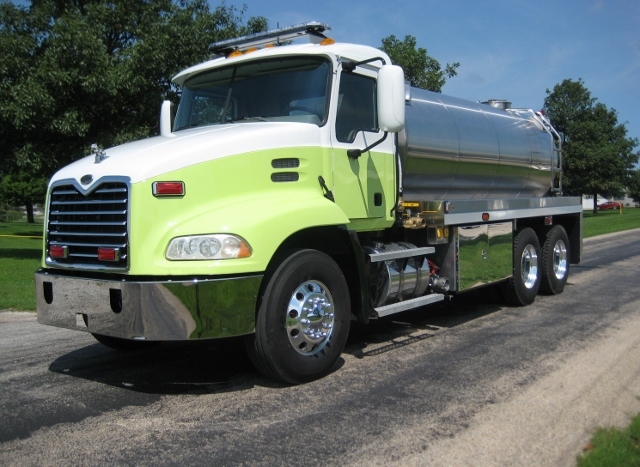 Osco Tank and Truck sales will work with you, hear your ideas, and then design a truck to meet your needs. We follow through to make sure that you are satisfied with the product. 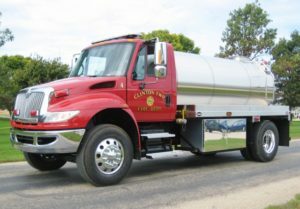 Whether you’re buying a completed fire truck tank with no changes or a completely custom tank, the company you work with should advise you on what would be the best option for your specific situation and then explain why. At Osco, we take pride in doing just that. Making the leap to buy a new (or new to you) fire truck tank can be difficult. It is helpful to know that you are getting the best deal no matter what your budget is. Look for these important things when researching your next purchase. Call us today for more information, and we would be happy to help you find the right fire truck tank for your needs.